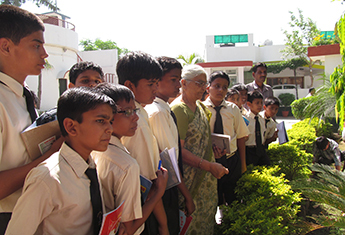 The school follows the NCERT curriculum and prepares students for the CBSE examinations. 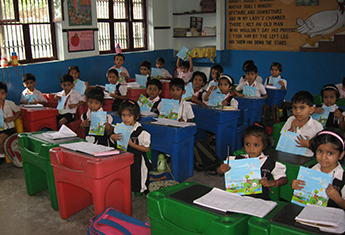 The syllabus is planned and executed in a learner - centered progressive manner to ensure interactive learning. Regular workshops for teachers are held for up-gradation of the teaching methodology and evaluation system. 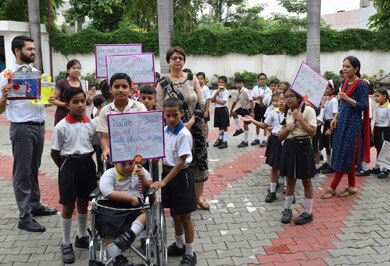 Playway, Interactive, Child centered academic, Co-curricular and physical environment is created. Regular six hour school system is offered to Day School Students who are not desirous of extended Day Boarding hours. 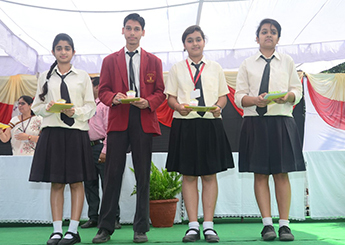 Subjects : English (Course A), Hindi (Course A), Mathematics, Social Science, Science & Technology. Activities : SUPW Hobbies like - Craft, Cooking, Music, Dance, Nature Club, Adventure Club, Social Service Club, Visual Arts, etc.